I’m a bit disappointed none of you have emailed me in the last month to make sure I wasn’t dead. It’s been over a month since my last entry, an entry devoted to my chronic illness, so weren’t you just a little bit worried? I could have been trapped under that IKEA desk I didn’t assemble properly. Fortunately I haven’t been trapped under Swedish furniture. I’ve been trapped under a crippling amount of work that piled up after my working vacation in New York last month. The problem with a working vacation is that you don’t do a very good job of either. When I was working, I was bummed that I wasn’t vacationing. When I was vacationing, I felt like I should be working instead. Freelancing can be great because you can work anywhere, but you don’t really want to work in exotic locations. You want to vacation in exotic locations. That said, I still had a pretty good time. My friends Zoey and Jasper let me stay in their place on the Upper West Side as long as I used my opposable thumbs to open their cans of Whiskas. It felt odd that I had to get a cat-sitter so I could in turn go cat-sit some big city cats. I felt like one of the maids in The Help who leaves her kids at home to take care of some rich family’s kids instead. Still, free apartment! And the cats only vomited once. Thanks again to everyone who left suggestions on my New York post. I made note of things mentioned by more than one person, and took several of restaurant and food recommendations. I probably spent 3-4 days working, 3-4 days sightseeing, and 1-2 days napping or ill, all non-consecutively. I’m in the process of writing up my experiences on this trip, but it is taking forever because I have a lot more to say than I thought I would. I need time to organize it in a sensible way instead of posting crazy bullet points for you to interpret like, “Follow the ginger!” and “Blacklight purse,” which I swear are actual notes I have scribbled down and not phrases I have fabricated for your amusement. I also have to work on people’s web sites in the mean time, because I promised them I would and I like having income even if I don’t always like having to work for it. So! 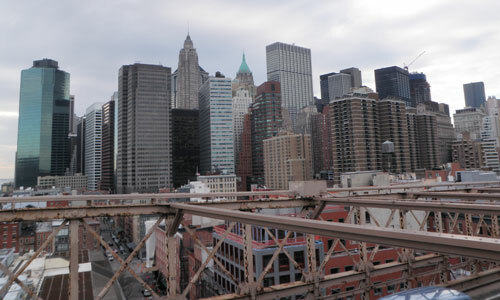 Coming sometime in the near future: journal entries about New York! Though they might be calling it Old York by the time I’m done. It crossed my mind that you hadn’t posted in a while but I just assumed you were working hard. And I was right! I was worried, but I didn’t want to hover like a helicopter mom. Can’t wait to hear about your trip! I only stalk here, so I didn’t feel comfortable demanding an explanation for your absence. Also, give me your phone number so I can have it. What Sharilyn said. Looking forward to hearing your stories. I actually thought about commenting yesterday. So it looks like a lot of us were thinking of you. I am sure if you would have passed; your so famous that your death would have made national news. Did Java Bean break any glasses while you were away? Just to impress the cat-sitter? I’m looking forward to hearing about New York. We’re planning to go this summer and I’m still looking for ideas! (also somebody mentioned your book in one of the comments, as a helpful book for those dealing with chronic headaches, so, bonus). Well, I did notice that you hadn’t updated for a bit, but that can be the case occasionally. You’re allowed. Can’t wait to hear about NYC. I feel your travel reviews are so well written & useful. I expect to glean from this one also, and can’t wait to put the pointers to use. Want to go back soon! Ok, I’m glad I didn’t drop off the face of the planet without some notice, though I’m sorry if I genuinely worried anybody. Thanks for still stopping by the blog! I appreciate it.